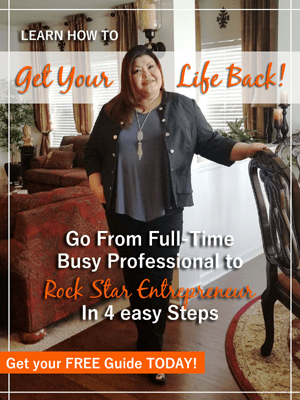 Home motivation	Are You Becoming the Best Version of You? One of the building blocks of having a successful and long-lasting business starts with you. Your daily habits, activities, and motivation leads you in one direction or another. Many people focus on marketing materials, advertising plans, and all the outside things, but never even think of building their habits to build their business. We have a saying that “your business starts and ends with you.” I want to give you 8 practices you can and should execute to be the best you for long-term (and daily) success. Take another 10 minutes while drinking your favorite morning beverage to plug into a good book or audio book on motivation and personal development. Then hit the gym for an hour – and turn off all distractions! Most importantly, be mindful of what you eat throughout the day. Being mindful of what you eat will help you be at your best; making you feel good, be productive, and not sluggish. There are days that you don’t want to get dressed, you just want to be comfortable and casual; but, remember that the extra effort to get ‘dolled up’ could mean a huge difference in your activity level. Often it is our planned activity that motivates us to get dressed up. It works the opposite way as well. Coercing ourselves to look our best can motivate us into more activity. Groom yourself as you would if going on a date, etc. Make an appointment with yourself and set the rule. Notice the difference in your dress and appearance on how you carry yourself. You feel more confident and stand taller. People find you more believable. Being dressed persuades yourself mentally to fulfill the role, and persuades others that you’re serious. Everyone comes from different walks of life. You have unique gifts and perspectives to help you achieve success. Hone in on your talents and never ever compare yourself to others. Their success does not determine your success. Their income will not determine your income… so find your niche and run with it. Be great at what you do. Don’t allow rejection or fear to be the reason to throw in the towel. That’s part of the process. You have to be uncomfortable in the beginning to see your breakthroughs. It takes you being bad at first and making mistakes to become your best. Imagine going into a department store that just opened for the first time. All day the associates are going around asking “how may I help you?” and each customer replies “just looking.” I’m pretty sure that the management didn’t say, “OK, let’s close up shop.” NO, you have to have enough lookers who eventually turn into buyers. Remember, people want to shop; they don’t want to be sold to. Likewise, when marketing yourself you have to be here long enough for people to shop. When you establish your name and give diligent, persistent effort you never know when – it could be right away, a couple months, or even a year later – but they will finally buy. Being in something long enough and not quitting too soon will earn people’s trust as you establish that you know your product or service is valuable enough for you not to run to the next best thing. You may not have noticed, but you were in the same position; looking for a business that is established and has a product or service with a track record of results. That’s why it’s important to stay in and see your business through. Success in this industry comes to the people who just stayed with it long enough and didn’t jump from one to another. If you think that you know everything and that you have arrived once you hit the top, you’re mistaken! To be successful you will need to ‘plug in’ to something bigger than yourself always, and lead your team to something bigger than YOU. Don’t allow ego to manifest in your success. Always be willing to learn, seek advice from the best who walked before you, and become a student of network marketing. The industry is forever changing and there is always something to learn about in this industry. To be the authority and master in what you do requires constant personal growth and education. Do you know that saying “Show me your friends and I will show you your income”? Or, how about “You become who you hang around with”? 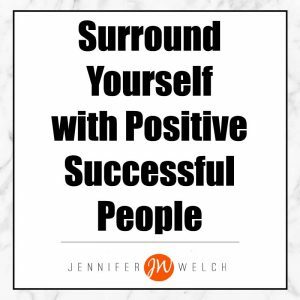 Think about the people you hang around with most and ask yourself, “do they encourage me?”, “do they motivate me?” Are they encouraging you to grow and move toward your goals? One of the biggest killers in network marketing is allowing people to rent space in your head. Stay away from naysayers. You don’t like hearing negativity, so get in the habit of making sure that you are positive at all times. Remember, people are watching you and looking to see if you will fail. Don’t feed into it or give them a reason to believe it. Always arrive a few minutes early to any event or appointment… and always stay until the end. Leaders don’t want to be left behind or miss out on anything. Never be that person who misses out, makes excuses or leaves early; it shows your team that you’re unreliable. Also, be prepared and organized as a leader. Never expect someone else to have your back. Always be on your game. Leaders are always one step ahead. When you have that down you will notice people want to join you because they trust that you will always lead them to victory, that you will always have their back and be there for them. Reliability gives your prospects and business partners one of the strongest reasons to want to join YOU. 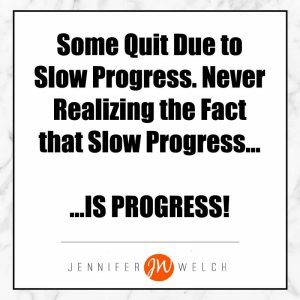 Remember to enjoy the process! It’s about the process, not the results. Give 100% effort with zero expectation and you will see the success manifest right in front of you. Giving 100% will always yield results – just be patient. In any good business you have to put 2-4 years of diligent effort to build a good base. It amazes me how someone will give our industry a month or two and say it doesn’t work. What can you possibly gain in 2 months?! Most traditional brick and mortar businesses today take a loss in their first year. A good network marketing company will take the guesswork out and allow for success and increase in your first 6 months to a year if you will work smart at it. 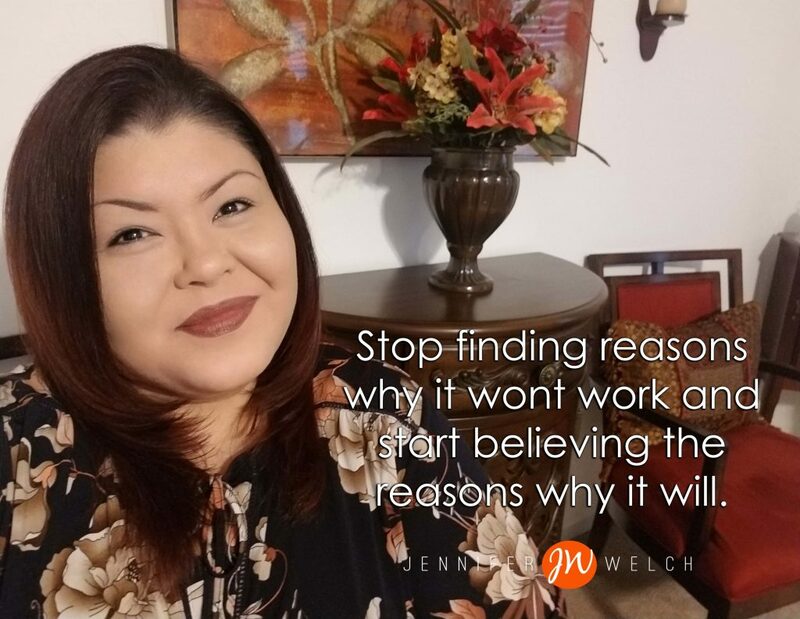 Stop finding reasons why it won’t work and start believing the reasons why it will. 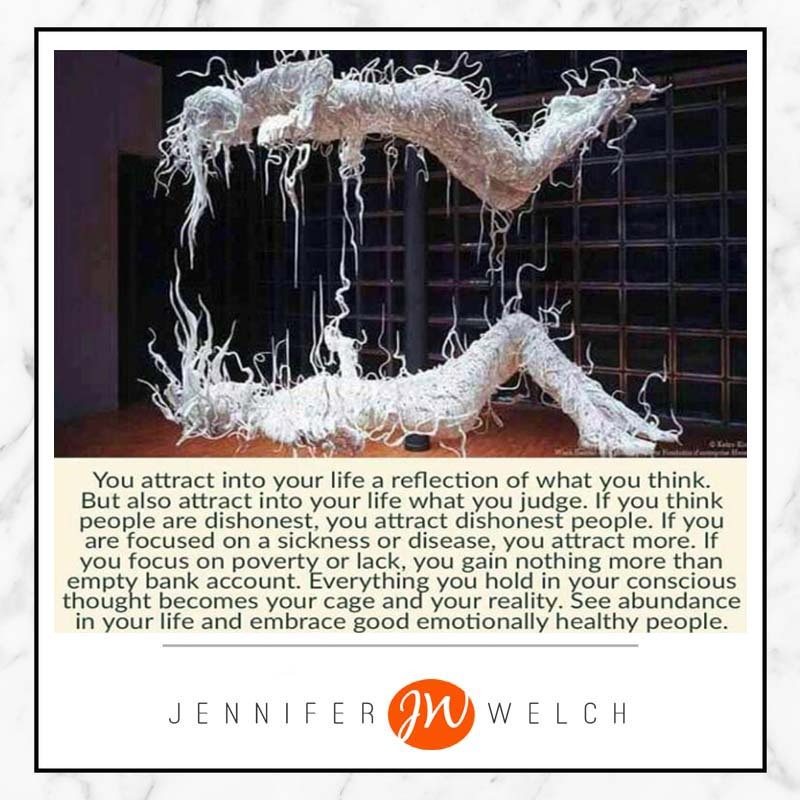 If you follow my practices above, you’ll set yourself with the right attitude, presence, and create habits to move forward and create a successful environment for your business and YOU. Jennifer, you have given me a tool. Now, when I hear, “this won’t work,” I will ask, give me the reasons why it will work! If they say, I don’t know, I will say, You are the reason that it will work when you are willing to work! 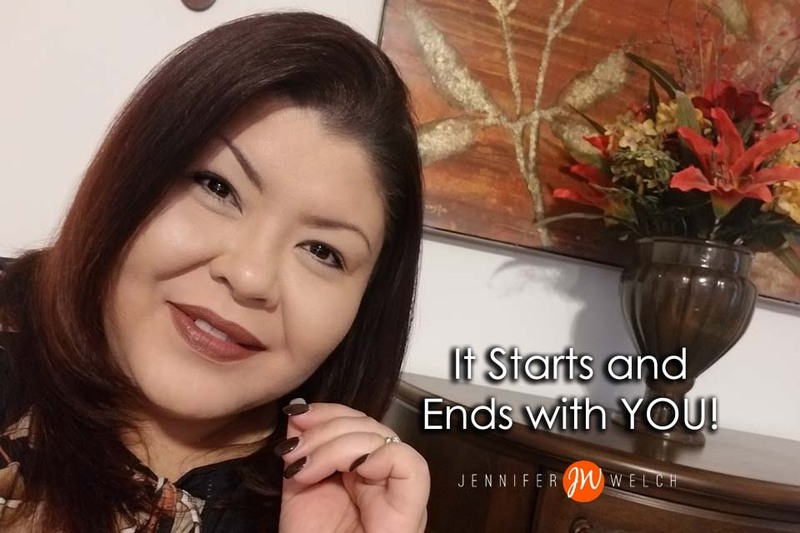 It starts and ends with you! I sound like you now, LOL!